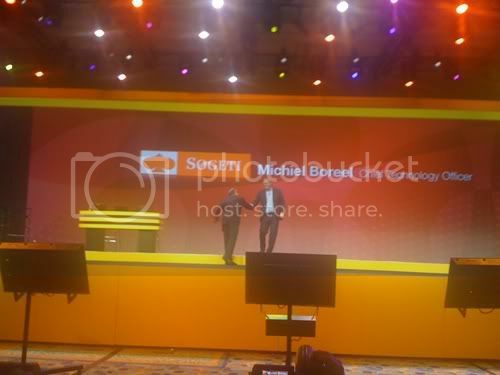 During the first major keynote with client showcases, one of the case studies was Sogeti's offering of TeamPark which was introduced to the 8,000 + audience by Sogeti CTO Michiel Boreel. As said in a previous blogpost, many companies find it hard to put real KPI's on Corporate Social Networking and Michiel also touched this subject; "there is a chance that your managers see social collaboration as a whole new waste of time" but in this day and age you have to push the limits, especially as a global IT company. The world is changing fast and competition heats up. As a company, you need to be agile and close to the market. You need to keep up to speed in terms of the latest developments. 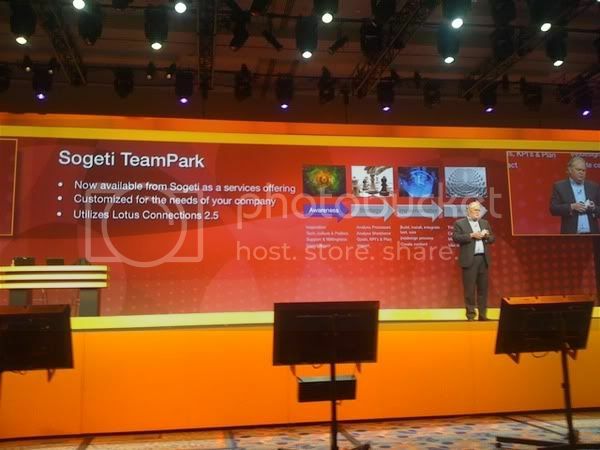 That is the reason why Sogeti chose to implement Lotus Connections 2.5 by the end of 2009: It's the challenge to increase the speed of innovation by engaging the talent of your employees. Michiel described the for stages of the TeamPark methodology; Awareness, Strategy, Implementation and Live. In many IT projects we do the strategy and the implementation but we do not do the first and last phase: Awareness and bringing the platform to Live. 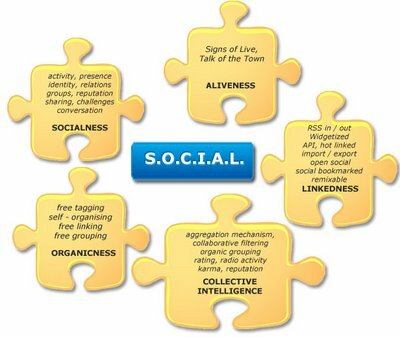 Especially when it comes to corporate social networking, these stages are essential. Else you would have an empty restaurant. And where do people eat? Not in the empty restaurant, but one across the street where it's busy. Now if your company would be like that, your employees would probably eat out in restaurants like Facebook or LinkedIn.